While the children's market has remained flat in sales year-on-year, the Children's Non-Fiction market is thriving. 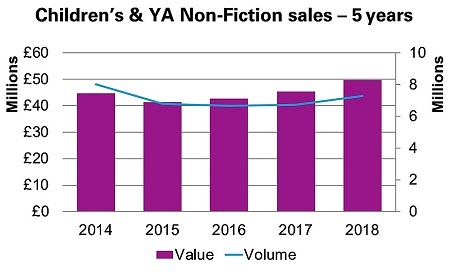 The Nielsen BookScan category for Children's and YA Non-Fiction has grown by 8% volume (units) and 10% value in 2018. The five-year trend does not look so positive, with a volume sales drop of 9%; but we must not forget the effect that Minecraft book sales had in 2014, adding 1.9m volume and £10.2m value to the sector. Despite the volume decline, the value of sales is up by 11% - an extra £5m in revenue through the tills. The rise in revenue suggests an increase in prices. The Children's Hardback Non-Fiction average price is at an all-time high of £9.40, up from £8.48 in 2017. 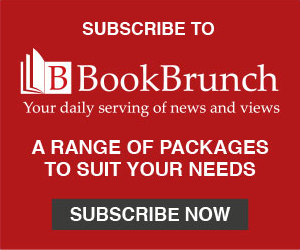 In Adult Non-Fiction, the sales growth has been prompted by an appetite for self-improvement, as well as political and social issues. To some extent it is the same in the children's market. 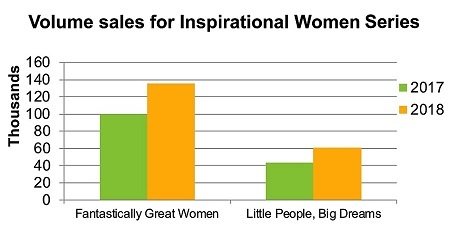 Within Children's and YA Non-Fiction alone there is a 54% volume increase and 53% value increase for books about inspirational women, bringing the total sales for these books within the category to 290,000 in volume and £2.2m in value. Leading the charge are the Fantastically Great Women books by Kate Pankhurst, published by Bloomsbury Children's. Across seven ISBNs, sales of this series were at 136,000 copies in 2018 - a 36% increase on 2017. While the focus is largely on inspirational women, boys have not been forgotten. Stories for Boys Who Dare To Be Different by Ben Brooks, published by Quercus, sold 86,700 copies, and made just under £1m during the year. Following the adult market, there is also a trend towards books about personal wellbeing for children. The Personal & Social Issues sub-set of the market has grown by 107% in volume sales year-on-year; it includes the number one children's non-fiction book, Matthew Syed's You Are Awesome, published by Wren & Rook. Coupled with the You Are Awesome Journal, sales for 2018 are 162,000 volume and £992,000 value. Other topical and relevant themes have also helped boost the market. Forty-eight new books about football were published as Children's Non-Fiction in 2018, likely influenced by the World Cup. These books and existing football titles add up to volume sales of 332,000 - more than triple the 2017 figure. And Children's Poetry book sales increased by 48% in value, generating just under £2m. Annie Woodfield is publisher account manager, Nielsen Book Research.